See a size comparison with a quarter and a ruler. These are real great white shark teeth. This shark is also known by the following names: great white, white pointer, white shark, or white death. Our Gxx codes denote individual pieces. If you would like to order a specific tooth, please go to our Gallery to pick the exact one shown. 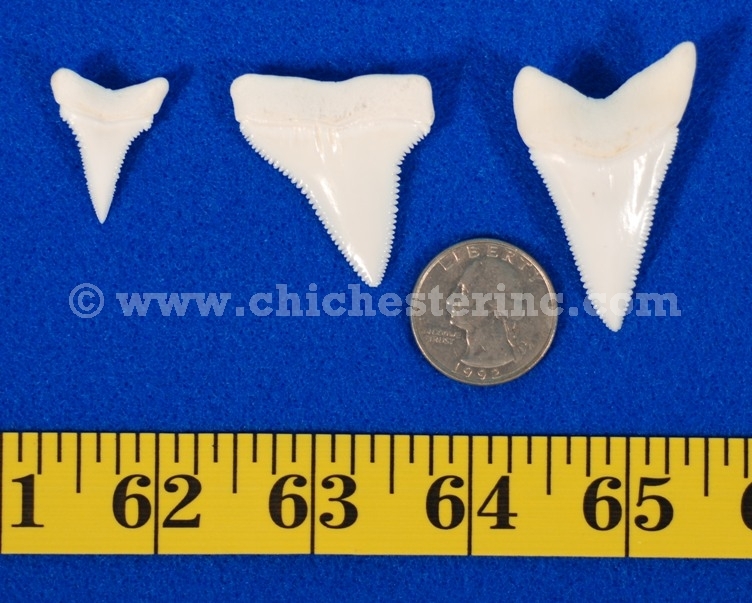 Genus and species: Carcharodon carcharias. Wild. Subject to CITES. No exports from the United States due to paperwork requirements.